A European Parliament report on Malta has called on politicians perceived to be implicated in serious acts of corruption and money laundering linked to the Panama Papers and FIAU reports to be removed from public office and swiftly investigated. The Prime Minister’s chief of staff Keith Schembri and Tourism Minister Konrad Mizzi were both found in the Panama Papers to have secretly opened identical structures in Panama. The report says that keeping such politicians in office affected the credibility of the government, fuelled a perception of impunity and may result in further damage to State interests by enabling the continuation of criminal activity. 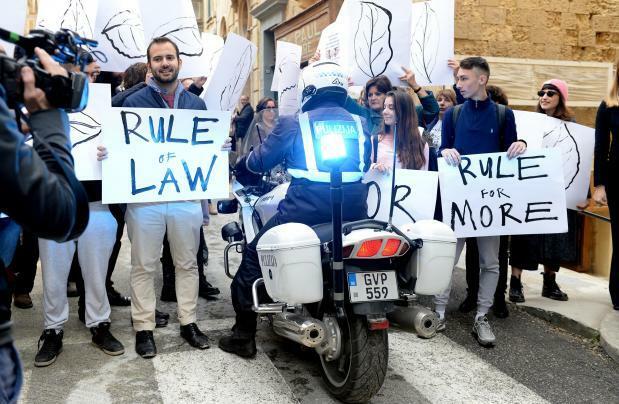 The report, published on Thursday, was compiled after a cross-party delegation of MEPs from the Pana and Libe committees carried out a two-day fact-finding mission on the rule of law in Malta last year. During the course of their visit, MEPs met the Prime Minister, the Chief Justice, the Police Commissioner, regulatory authorities as well as journalists and civil society activists. The MEPs said in the report that the Police Commissioner never started investigations into “serious suspicions of money laundering” related to the Prime Minister’s chief of staff, despite clear reports by the FIAU submitted in April, July and November 2016. Police Commissioner Lawrence Cutajar confirmed the FIAU reports were received, registered, but never investigated, the report says. The MEPs reported that that they had asked Mr Cutajar why politicians accused of corruption and money laundering had not be investigated. In reply, the “limited competences” of the police to start investigations were repeatedly underlined by Mr Cutajar and his assistants. The police said there were investigations in connection to the Panama Papers, but no more information was provided, according to the report. A number of inquiries were triggered by former Opposition leader Simon Busuttil after he presented the leaked FIAU reports to the courts. Konrad Mizzi and Keith Schembri (inset) were both revealed to have secret offshore structures created through the offices of Mossack Fonseca. The report highlights contrasting views about the Attorney General’s powers to initiate investigations into the suspicions of money laundering involving people exposed in the Panama Papers. During his meeting with MEPs, Attorney General Peter Grech said he did not have the power to start criminal investigations. He said it was the sole competence of the police to initiate investigations which would lead to criminal charges. When it was pointed out to him by MEPs that money-laundering laws allowed him to issue an investigations order, the Attorney General argued that to do so, one must be in possession of “concrete evidence” in order to stand before the courts. Dr Grech told the MEPs that the several media reports about serious suspicions of money laundering involving the Prime Minister’s chief of staff and “one member of government” were not enough to request an investigation order. But Chief Justice Silvio Camilleri told the MEPs that a reasonable suspicion of a money laundering crime was not needed for the police to start a criminal investigation. Investigations could be started by the police with simple information about a crime brought to their attention, in any form. He noted that for court prosecutions or for measures restricting freedoms, such as an arrest warrant, then the legislation required a “reasonable suspicion”. · Persons perceived to be implicated in serious acts of corruption and money laundering, as a result of Panama Papers revelations and FIAU reports, should not be kept in public office and must be swiftly and formally investigated and brought to justice. Keeping them in office affects the credibility of the Government, fuels the perception of impunity and may result in further damage to State interests by enabling the continuation of criminal activity. · Work is needed to ensure stronger checks and balances in the Maltese legislative framework to better separate powers and to limit possible interference of the Prime Minister in the judiciary and the media; an assessment of media pluralism and independence from political power should be conducted. · Civil society organisations and any Maltese citizens should be encouraged to provide evidence and bring formal complaints to the Police forces, FIAU and MFSA, regarding white collar crimes and money laundering in Malta, in order to trigger criminal investigations. • concrete steps towards a transparent system of selection and appointment of the judiciary and of other key public officials positions, as appointments by the government create risks for the independence of the judiciary and of law enforcement; to counter the general perception that the Police is highly politicised:, the selection system must enact criteria focusing on merits and competence; recent changes to the legislation to appoint the members of the judiciary by creating a selection board (the “ Judicial Appointments Committee” ) with clear composition and selection criteria is welcomed, while the Government retains the discretion over the appointment to be proposed to the President of Malta. The Labour Party noted that according to the report, (Russian whistleblower) Maria Efimova had indicated to the MEPs that she was not the original source who had provided information on the prime minister's alleged links to Panamanian company Egrant to Daphne Caruana Galizia. This, the PL said, was the only new thing in the report. It pointed out that for months, Ms Efimova had been described as Ms Caruana Galizia's main source. The PL reiterated that the claims about Egrant were lies and the prime minister was committed to step down if a whiff of truth about them was found. 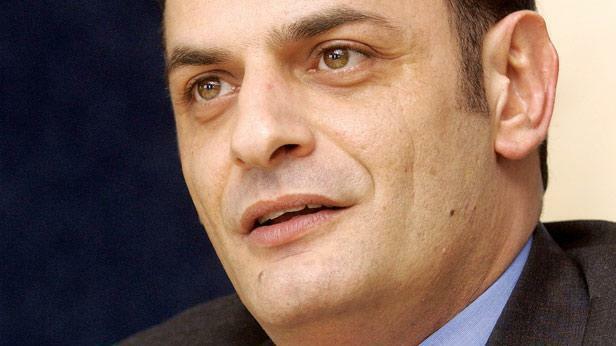 In a statement, MEP David Casa, who formed part of the MEP delegation, said the report made it very clear that Konrad Mizzi and Keith Schembri should be immediately removed from public office and should be swiftly investigated and brought to justice. Mr Casa said there was a need to overhaul the offices of the Police Commissioner and Attorney General, which had not prosecuted clear cases of corruption and money laundering despite the overwhelming evidence in their possession”. The MEP said Pilatus Bank and Nexia BT continued to operate in Malta with impunity, despite the “overwhelming evidence” that they were "complicit" in corruption and money laundering. He said their continued presence in Malta constituted a significant threat to the island’s financial services sector and economy. 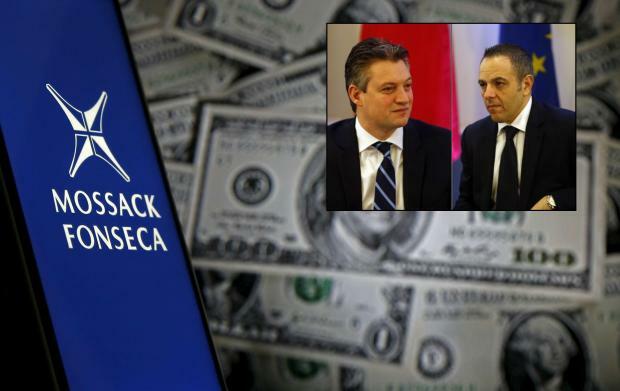 Mr Casa noted that the report specifically asked the European Banking Authority to investigate whether the MFSA was carrying out its duties as a national supervisory authority in view of the fact that Pilatus Bank and Nexia BT were still licensed in Malta. The report will now be discussed in committee later in January and forwarded to the European Parliament’s Conference of Presidents which brings together the EP’s President and the leaders of the political groups. The Chief Justice has been invited to an exchange of views in Brussels, and the CEO of Pilatus Bank will also speak to MEPs. In December, German MEP Werner Langen said the Pana committee would be looking at increased monitoring of Malta, perhaps even going as far as an Article 7 provision allowing for the suspension of a member state’s voting rights. Read the report in full using the pdf below.